I have a fantastic new pattern for you! 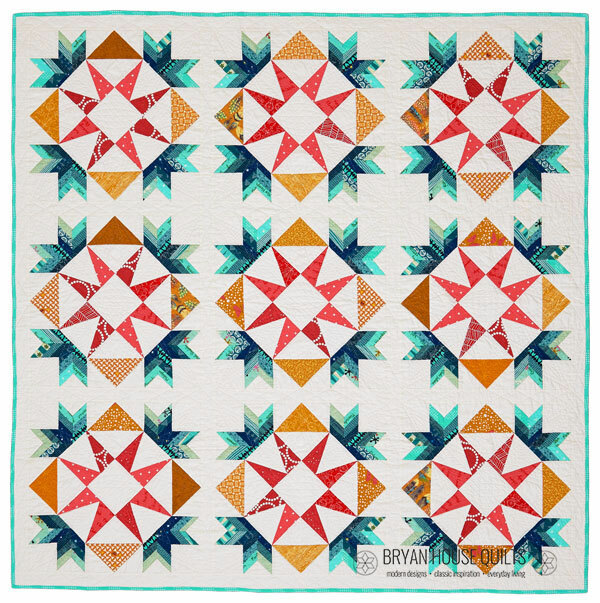 The quilt – Star White, Star Bright – is a classic design and allows you to play with gradation in color. Two things I lurve in my quilts. And? 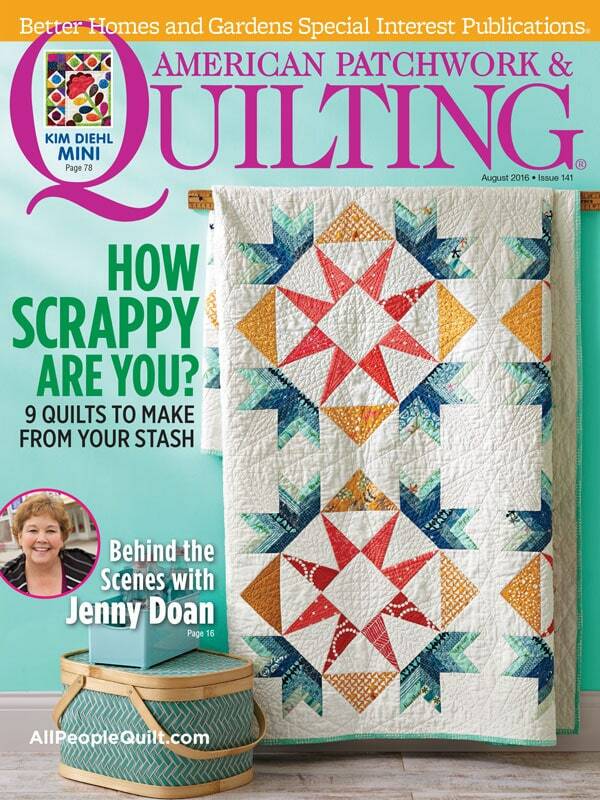 It’s only on the cover of American Patchwork & Quilting! Pretty cool right? The pattern appears in the August issue of American Patchwork & Quilting, which will be available in stores today, June 7, through August 3rd. The quilt finishes just a smidge bigger than 80” square and gives you *just* a taste of improvisation in the gradated teal star spokes, if you want it. You don’t *have* to improvise, but the option is there. I had a lot of fun playing with moving the teal from dark to light in each star spoke and where each gradation started. 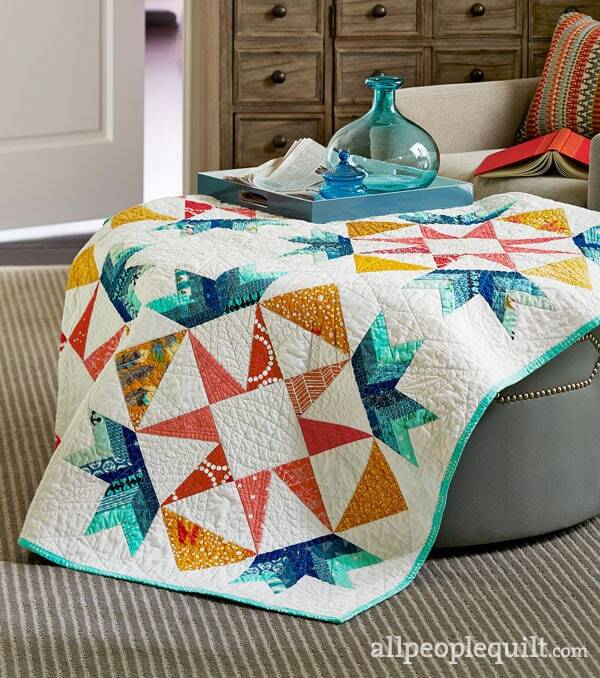 Did you notice the beautiful, stunning quilting? Yes! Christina Lane, of The Sometimes Crafter, is responsible for that devastating quilting. I’m a long time fan of Christina’s. She did such an amazing job with my quilt. I highly recommend Christina! BONUS! To help you plan your quilt and quilting designs, I’ve created a coloring page for Star White, Star Bright. (Psst, it’s only for my subscribers!) Click here to get your copy!